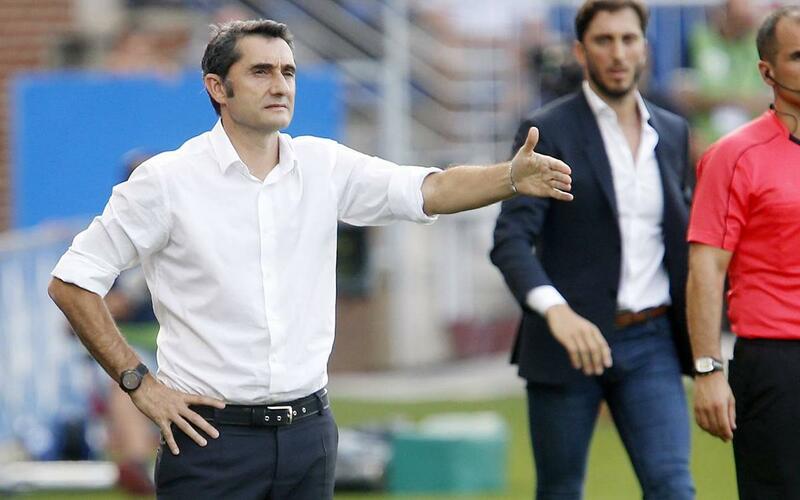 Ernesto Valverde was pleased after Barça’s win against Alavés (0-2) and said to reporters that "this victory must be given value." A tough match at times, particularly in the first 45 minutes, the coach suggested that the duel at Mendizorroza was a confrontation "of patience and maturity." Leo Messi, who played as a ‘false 9,’ added two more goals to his collection which now number 351 in La Liga. Valverde noted that the Barça No.10 “has been able to score more goals" and "we know of his tendency to play in the middle and that is why we have other players in the wider areas," referring to the position of Aleix Vidal in the starting XI. A defensive approach by Zubeldia highlighted Barça’s task during the first half, Valverde insisting that a tightly packed midfield area meant that his side would need to be patient. He concluded that "the first goal opened the game up," allowing his team to "overcome a difficult test."